A recent graduate of Georgia State University with a Bachelor of Arts degree in Psychology, Nadia will continue her education in Clinical Psychology at Harvard University beginning in Fall of 2012. Born in Miami, she is proud to fly the Bahamian flag in all things Caribbean. On the night of the show she felt overwhelmed by the victory. She felt she had what it takes to win but was still astonished when she was called out as the ultimate winner. As Nadia explains; she did not realize the effort and time that was required for the role of Carnival Queen. She takes her role seriously and is enjoying every moment of it. She is treated like a queen everywhere she goes and had no idea that the expanse of the role was this wide. In a moment of reflection during a radio interview Nadia admitted that she will miss the role as Queen when her reign ends. This has been one of my greatest life experience to date and its been all fun. Meting people and representing the Caribbean to the fullest has been a joy. When asked about "The Ramblers Tales Show" her eyes lit up with excitement as she comments, "I am so looking forward to being on the show". 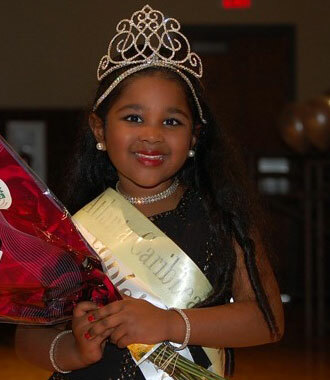 "And the winner is", was the words that was heard by 14th year old Serena Turnquest as the result of the Atlanta Caribbean Carnival Junior Miss was being read out. The moment was somewhat peculiar for her, as she did not realize at the time that she had won. She was intently listening for her name to be called but instead, Miss Bahamas was announced and in the moment of nervous excitement she did not relate the two. Her Mom saw that she was not responding to the announcement and nudged her saying "You've won". Serena said she was a little overwhelmed for a moment, she did not know what to do, cry or scream. Then she began to feel a tingling of excitement and everyone started screaming with joy. 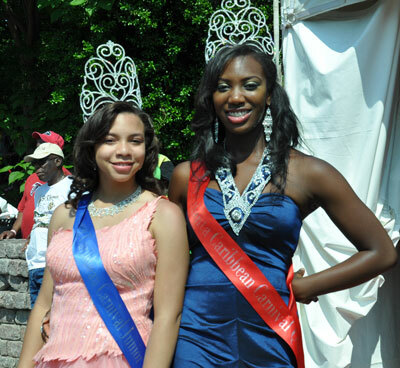 This is not new territory to miss Turnquest; she was crowned Miss Rockdale County Fair in 2010. Like Nadia Barr the current queen elect, Serena is a proud to fly the Bahamian flag. She is a keen sports enthusiast and is a Junior Varsity volleyball player as well as a member of the school honors band. Serena loves singing and dancing but sees her professional live heading towards being a teacher or a pilot. Her friends at school were just as excited and proud of her victory. He teacher was happy to announce that "We now have Royalty in our midst". One of her greatest moment during her reign was when she met Tyler Perry. The whole journey has been fun but meeting all these people has been such a joy, Serena explains. She is currently in kindergarten but shines the light of a young lady with a bright future. When the winner was announced, young Priya was shocked, and then became excited. She did not realise that she had won, when the victory was explained to her, a big smile of excitement came over her face. In her future, she sees classical dancing. She is currently a member of the "India Dance Academy" and performed on the television show "America Most Talented". At her tender age she has already performed in London and the Caribbean. She plans to be a doctor when she grows up.